1. 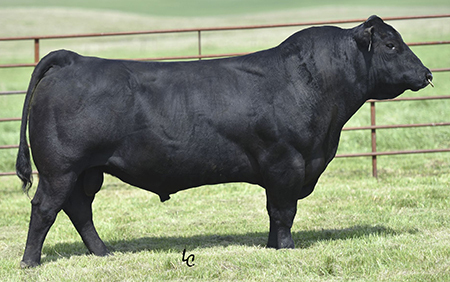 There were three CTS Remedy sons in the top five at Ellingson's Angus 2017 Bull Sale they grossed close to $200,000. The top open heifer was also sired by Remedy selling for $20,000. 2. Use him to produce broody type females with foot soundness and fleshing ability. 3. His calves are very eye appealing , with clean fronts and a strong top line.